Allen Chen is a talented multimedia designer with years of real-world experience building outstanding brands for many firms in the San Francisco Bay Area and beyond. Allen has proven to be a versatile designer, able to rapidly adapt with business changes, take on new challenges, and learn new technologies with ease. His interdisciplinary background includes a technical education, extensive international travel, and formal design training. This unique combination of experiences manifests itself in an equally unique portfolio of work. Mr. Chen currently resides in San Francisco and is a full-time employee of Accela, Inc. — a software company where he established and manages a user experience program. He also provides freelance creative services and enjoys the opportunity to work with new brands and interesting people. 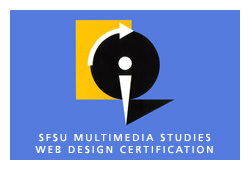 He holds a bachelor's degree from the University of California, Berkeley and Web Design Certification from San Francisco State University's prestigious Multimedia Studies Program.